Lisa was appointed as Clerk of the Municipal Court on May 1, 2006, and officially took office on June 19, 2006. Lisa has been on staff with the Court since November 2000, serving as Deputy Clerk and, most recently, as Court Reporter to Judge Thomas Bunch. Before coming to the Court, Lisa worked as a legal secretary with the Ohio Public Defender for eight years, and for six years with the Chillicothe law firm, Phillips & Street. 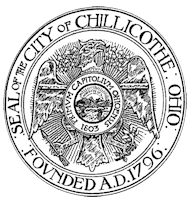 Lisa is a lifelong resident of Chillicothe and a graduate of Chillicothe High School. She and her husband, Bob, have two daughters, Katy and Abigail. They attend the First Presbyterian Church where Lisa serves as an Elder, Chairperson of the Christian Education Committee and Clerk of Session.